The Teaching of maths has changed much in the past few years. Project Maths, the full new course is being taught to all classes. The main aim of Project Maths is to change the way Maths is taught so that students leave school with a greater understanding of the concepts as well as an idea of how Maths can be applied to everyday real life situations. 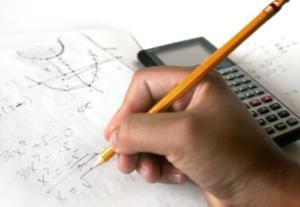 Mathematics is a core subject for all students Riversdale Community College. We start off with The Common Introductory Course in first year which is the minimum course to be covered by all learners at the start of junior cycle. Students are divided into classes of mixed ability in 1st year and taught this common syllabus. It is intended that the experience of this course will lay the foundation for conceptual understanding which learners can build on subsequently. Classes are separated into higher level and ordinary level from the start of 2nd year. All students sit the Junior Certificate and Leaving Certificate mathematics exams. Junior classes have 4 maths periods a week and senior classes have 5 periods a week. The comprehensive reporting options within Accelerated Maths allow us to monitor every child’s progress and to take a forensic look at their learning and knowledge. Progress reports are available for staff, parents and students themselves. We are big believers in the use of Information and Communication Technology (ICT). We utilise each of our three designated computer rooms to aid in learning We are having great success with other online resources such as www.mangahigh.com, in which Riversdale students have taken part in competitions against other schools. The second, third, fourth and fifth year students are also making great use of www.thatquiz.org. This is a great website, within which we have set up a lot of our classes so that homework can be set, corrected and tests graded using these websites. Using the Internet, our fibre broadband and our computer facilities gives us more options than ever for teaching in an interactive, engaging classroom environment. foster a positive attitude to mathematics in the learner. 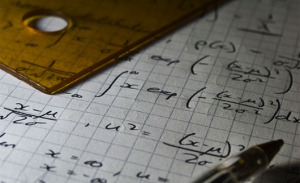 Leaving Certificate Mathematics aims to develop mathematical knowledge, skills and understanding needed for continuing education, life and work. By teaching mathematics in contexts that allow learners to see connections within mathematics, between mathematics and other subjects, and between mathematics and its applications to real life, it is envisaged that learners will develop a flexible, disciplined way of thinking and the enthusiasm to search for creative solutions. a positive disposition towards mathematics. Mathematical Applications for the Leaving Certificate Applied is intended to prepare students for life, work, further education and a world where skills and knowledge require constant updating. The course seeks to consolidate and improve students’ mathematical knowledge, skills and concepts through practical, analytical, problem solving applications and through integration with other modules. The modules reflect the applied nature of the Leaving Certificate Applied programme. They start with the students’ experiences and seek to raise their enthusiasm for mathematics through the achievements and the skills they develop in dealing with mathematics in everyday life, work and play. Students are encouraged to develop a work ethic where quality, accuracy and dependability are important.